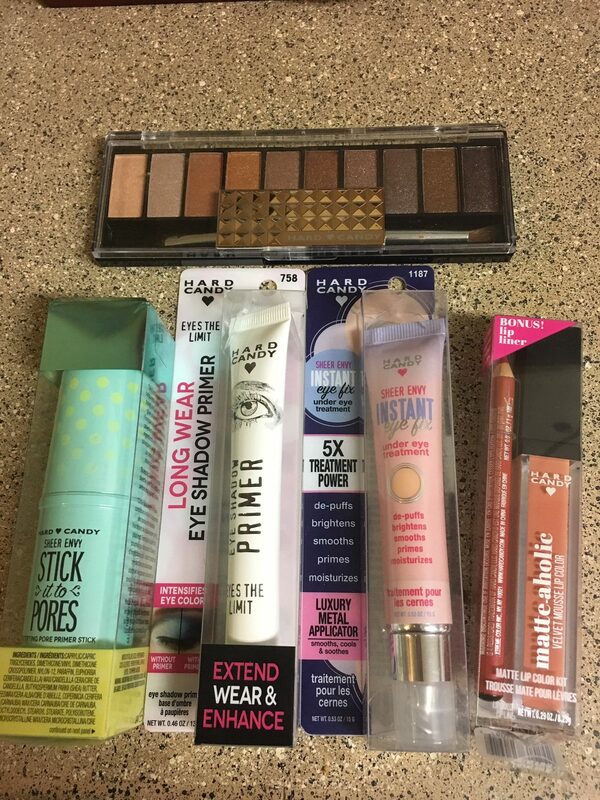 I love trying new makeup brands! 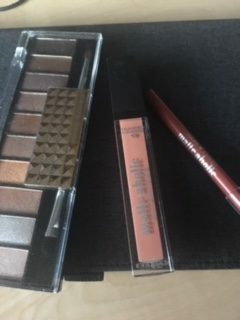 Hard Candy is such a fun brand and have a lot to offer – above are some of my favorite products – Let me tell you about them. Sheer Envy Stick it to the Pores: This is a primer stick that helps reduce the appearance of pores. It makes my face look great! It is lightweight weight and absorbs oil so my face looks great all day! Sheer Envy Instant Eye Fix: You may not need this now – but when you get a bit older or have a late night this is the perfect product! It has a metal tip applicator which helps sooth and cool the eye area. It instantly brightens, de-puffs, and eases the appearance of fine lines. Eye Shadow Primer: If you have problems with your eye shadow fading – this will help. It also makes it look brighter. It a top seller and a great price at only $5.00 a tube. Here are two of my most used products from Hard Candy. Eye Shadow Collection: I love, love, love eye shadow palettes. This one has 10 different shades and is called Naturally-Gorgeous – which is how I feel when I wear it. You can combine the colors to make your own unique shade. They have 6 different palettes to choose from. Matte Velvet Mousse Lipcolor & Liner: I like that it comes with the matching liquid lip color and a liner duo. It last for hours and doesn’t bleed. I put it on before going out and it last and last. My color is Forget Me Not but they have 18 shades. You can find the perfect products for you to use every day. You can find Hard Candy HERE online and also at your local Walmart. Have fun looking at all the products and pick some that are perfect for you!